Moby's Other Pet Project: Photography : The Picture Show Turns out the electronic musician not only likes pictures; he also takes them — in abundance. 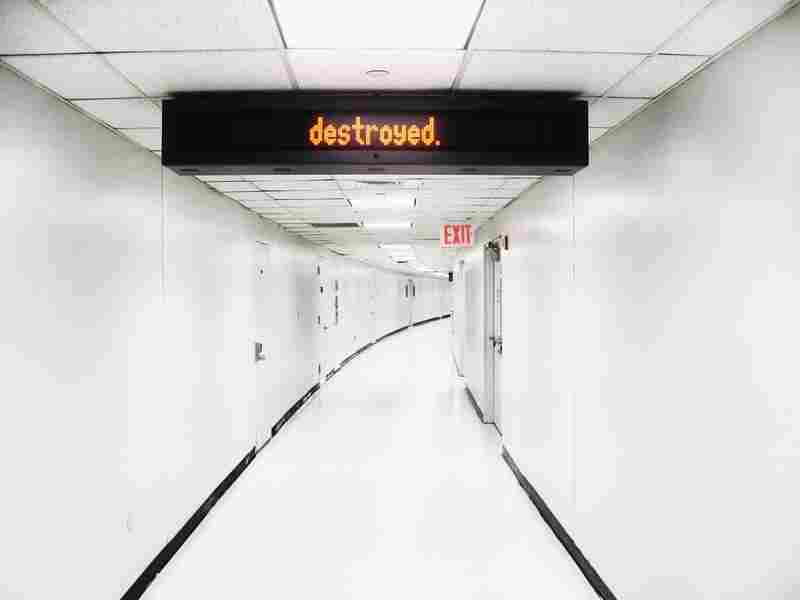 New York: "There was this little sign in this weird hallway. It said, 'unattended luggage will be destroyed,' but one word at a time." Toronto: "I believe she is the nun of the future." 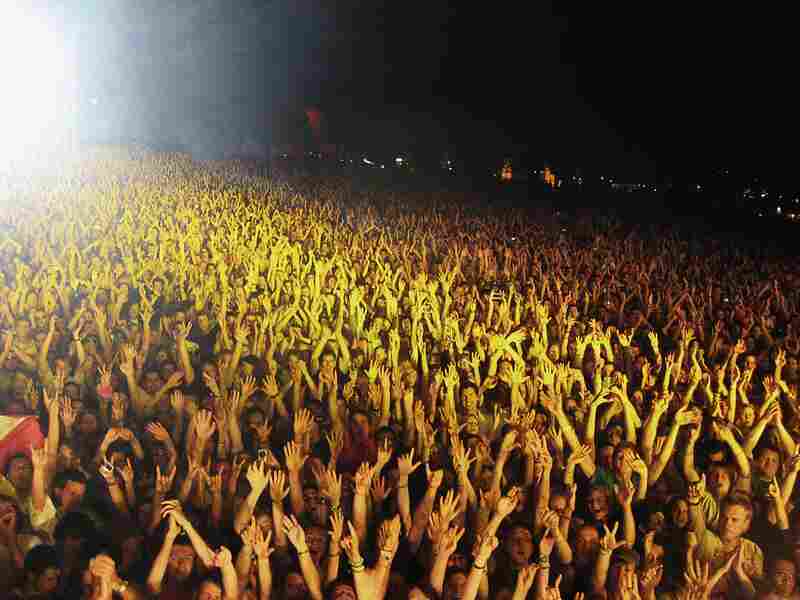 Lausanne: "A sea of people. I particularly like how the form of the crowd reflects the topography." 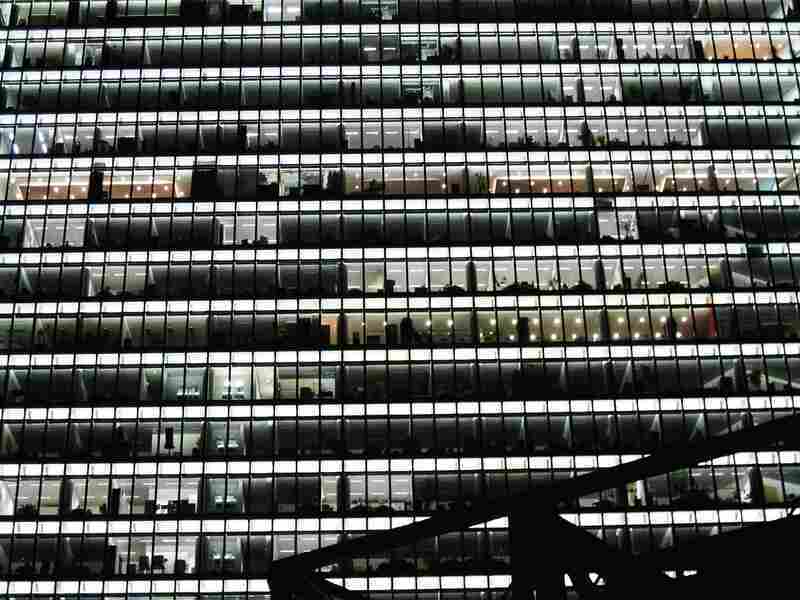 Berlin: "There's something really comforting to me about office buildings at 4 a.m., when the lights have been left on for the cleaning crew." "I look at a bleak fortress like this house, with its chain-link fence and fenced-in beat-up car and I wonder, 'What goes on in here? What has gone on in here? And what will go on in here?' 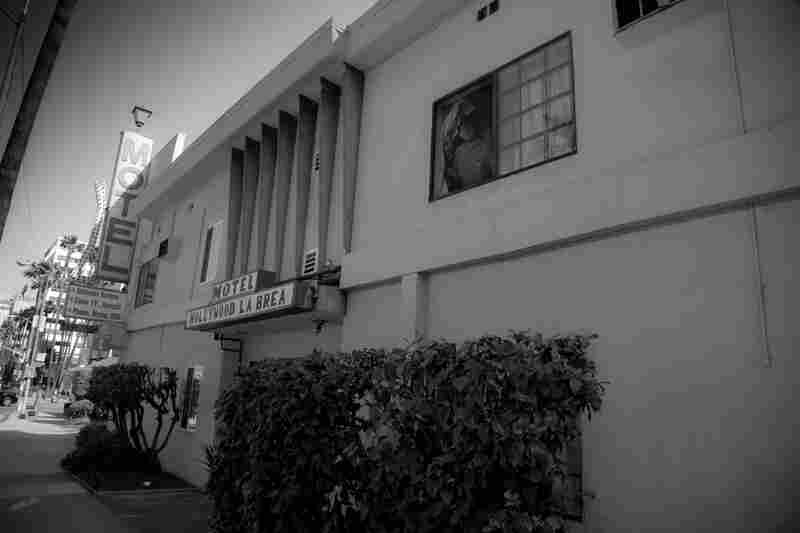 "
"Maybe some people think that the old, run-down motels and hotels are eye-sores, and are representative or indicative of the seediness and faded glamor of L.A. But I love them." 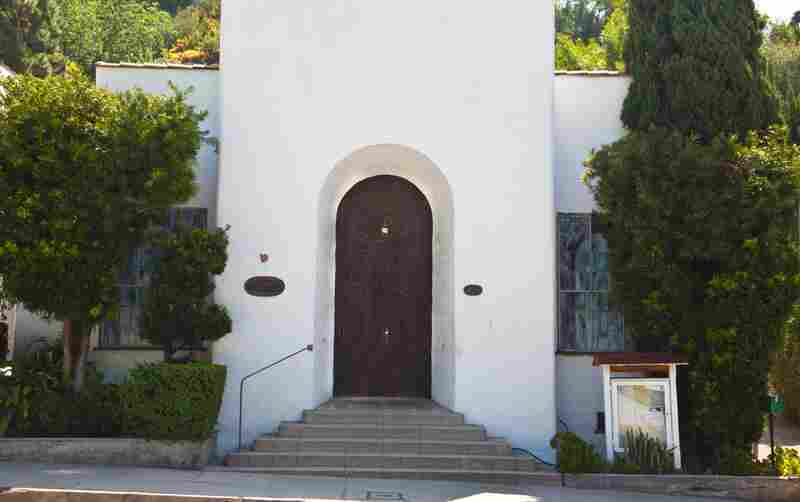 "All things considered, my favorite place in L.A. Architecturally it's pretty simple, like a humble little mission chapel. 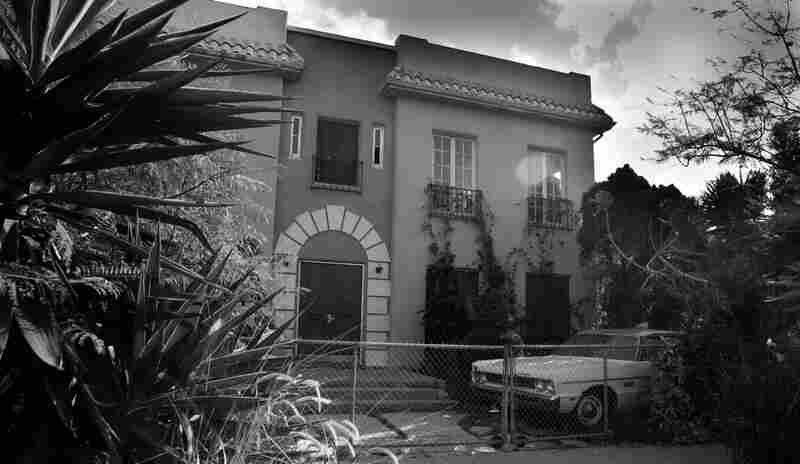 ... [It's] currently an L.A. outpost of the international theosophical society ... and in its past it was ... a directors club where Orson Welles staged plays [and] a little lecture hall where Carl Jung and Aldous Huxley spoke." "i don't sleep very well when i travel. and as a result, i tend to be awake in cities when everyone else is asleep. that's where this album, and the pictures that accompany it come from." With his 2011 book, Destroyed, the electronic musician has created a visual soundtrack to accompany his musical album. We see what Moby felt as he roamed through empty streets across the globe, getting inspiration for his album. The images are often accompanied by witty text or just a one-word description. "[the album] was primarily written late at night in cities when i felt like i was the only person awake (or alive), a soundtrack for empty cities at 2 a.m, at least that's how i hear it. ... i wanted to show a different side of touring and traveling. a side that is often mundane, disconcerting, and occasionally beautiful." You can explore the photos while listening to the album on his interactive website. Or on his blog. Or Flickr. Or, best of all, listen to Talk Of The Nation, where he discussed the project.